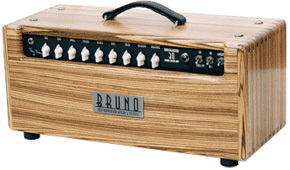 The standard Bruno Underground 30 is one of the most coveted guitar amps in the world. It is an incredible sounding, hand-built masterpiece that has received rave reviews and awards from top musicians and guitar publications. The Tony Bruno Limited Edition 10TH Anniversary Reverb and Tremolo Underground 30 is the ultimate celebration of Tony's most famous and award winning amp. Only 25 of these 10th anniversary amps will ever be built and each one will be dated, numbered, and signed by Tony Bruno. Saving money was not a design factor and no expense has been spared in the circuits, components, tubes, or cabinets for each of these very special amps. Tony has sought out, at great expense, the finest New Old Stock tubes in sufficient quantity for all the Anniversary amps. He has contracted with a Master Cabinet Maker for the select hand finished exotic hardwood cabinets. He has sweated every detail to insure that each Anniversary amp is not only beautiful to look at but is truly The finest guitar amplifier ever built. Mahogany, Koa, Maple, Rosewood, Zebrawood, Purple heart, etc. The Underground 30 is a truly remarkable amplifier with superb clean and distortion voices mated with a vast tonal range, incredible dynamics and rich complexity. It's beautiful clean voice has a silky chime that is deep, spacious and sensuous. The tone is really something very special. Crank it up and the Underground 30 screams with big mean ballsy tone mixed with exquisite upper-end sparkle, complexity and singing sustain. It sounds equally fabulous with either humbuckers or single coil pickups, layering sounds with lush harmonics while retaining excellent touch sensitivity and note articulation. 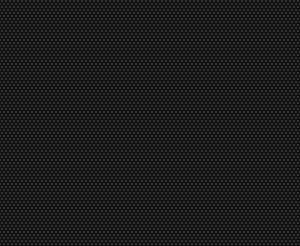 (An almost impossible accomplishment in amplifier design that has taken Tony a lifetime to achieve). The Underground 30 features 36 watts of class A power from 4-EL84s, 3-12AX7s, a GZ34 rectifier and it includes 2 additional 12AX7s and 1 EL84 for the tube driven reverb and Tremolo circuits. The cabinet is constructed of solid select hardwood and finger-jointed construction is used just like the finest furniture which provides a very strong, extremely rigid, rattle free cabinet that will last a lifetime. Other features include padded handles, heavy duty feet, stainless steel screws/bolts and chromed steel corners and an Art Deco style control panel and aged Ivory "chicken head" knobs. The Tony Bruno Underground 30 is being hailed as the very best - The world's finest sounding amp and the 10TH Anniversary Underground 30 is Very Rare, Highly Desirable and Quite Collectable - THE Ultimate Underground 30.
is a Sonic Masterpiece in a Work Of Art Cabinet. Each piece of exotic wood is carefully chosen for it's figure, every edge and corner is hand rounded and smoothed, and then the cabinet is finished to the quality of the finest furniture. The final touch is the addition of a custom Limited Edition acid etched brushed brass or stainless steel 10th. Anniversary name plate.